Genesis Archery donates $10 to the National Breast Cancer Foundation for every pink Genesis bow sold. October is Breast Cancer Awareness Month, an annual campaign to increase awareness of the disease. To help shoot down cancer, Genesis Archery donates $10 to the National Breast Cancer Foundation for every pink Genesis bow sold. Even better, the company continues this donation during the other 11 months of the year, and it includes the pink versions of both the Genesis Original and Genesis Mini bows. Check out the video below that showcases Morgan Floyd, a high schooler who takes part in the National Archery in the Schools Program (NASP). She uses a pink Genesis bow, and the color took on some significance when her mother began battling breast cancer. The National Archery in the Schools Program has made the sport of archery fun, safe and engaging for 11 million students in over 13,000 schools in 47 states since the organization was first founded in 2002. Archery helps teach kids the value of patience and focus, improving educational performance while building confidence and self-reliance to help set youth up for lifelong success. Genesis Archery is proud to be a Platinum sponsor and the official bow of NASP. For more information about NASP, including how to start an archery club at your school, visit the NASP homepage. The Genesis Original is the only bow used in NASP. 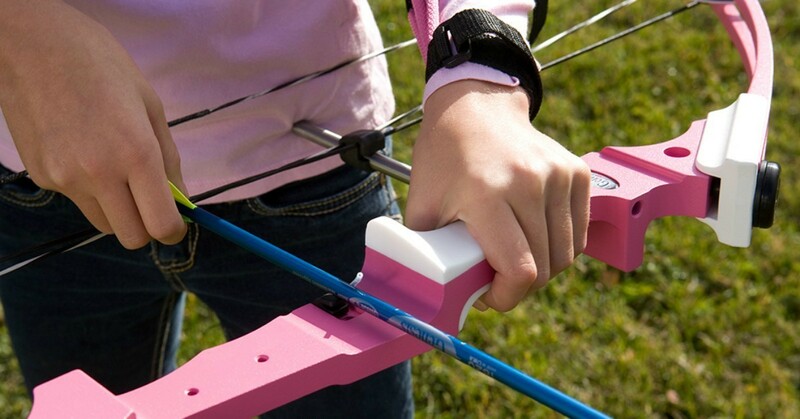 Archery equipment is sold directly to approved schools, government agencies and nonprofit organizations. All equipment must remain the property of the organization. If you’d like to purchase the Genesis Original for home use, click here to locate your nearest archery dealer or sporting goods store.